If I buy an iPhone X? Gadget » Apple » If I buy an iPhone X? Recently X new iPhone went on sale. The new smartphone will be for Apple? A breakthrough that will help to strengthen its position in the market, or a disappointment to fans? A little more than two months ago at a special event Apple Special Event was presented among other things and the new iPhone X. the Whole world is enthusiastically discussed the new Apple. We have to admit that the new smartphone deserves such attention. All the world news agencies, television channels, Newspapers, radio stations and online publications were shown an image of the new iPhone X, spoke about his opportunities, admired the new design. Some predicted his stunning success, other reserved or silent, or tried to be sarcastic, implying that no innovation there. But the hype has not let up very long, especially because everyone was waiting for the start of sales. But is it all good with the new smartphone from Apple? If it is so perfect and innovative? What did he become? Breakthrough or failure? Today this is what I want to speculate. I hasten to mention that not going to put a categorical verdicts and predictions. I just want to tell you about his vision of the situation with the iPhone X. From himself did not expect, but when I watched the presentation of the new iPhone X, I caught myself thinking that for the first time in ten years, I like the smartphone from Apple. I am most attracted design of the new smartphone. It really looks amazing. Almost frameless, except for a small notch at the top, slim, elegant. This kind of design I like this combination of sizes is the best for me. These thick frame at the top and bottom on some smartphones look horribly ugly. Someone will say that those same smartphones from Samsung also look awesome. My Xiaomi Mi 6 is also a slim, modern, lightweight, but still before the word “fantastic” does not hold. And about the design of the new iPhone X I just said, and still say that. At the moment, the build quality and design equal to it for me. But, as they say, a matter of taste and personal priorities. I didn’t understand why for many years at Apple, strongly ignored AMOLED screens, simultaneously inventing their own names for displays, like Retina/SuperRetina. Did not understand was that all the modern manufacturers of displays, at this time, nothing better than the AMOLED screen not come up? Getting a new screen, iPhone X as something special began to look. Now it has become even more attractive and premium. Experienced users say that AMOLED screens also have a lot of flaws and miscalculations, but it was worth it to do. I will talk later about some of the nuances in the display of the new iPhone X. Now rightfully we can say that Apple released is really a brand-new smartphone. Those who have followed smartphones from Apple, you probably noticed that developers very rarely go on any radical changes in future smartphone. The improved camera, increased the size of the smartphone, it removed some plug. But to suddenly change everything, this does not exactly allow. A new smartphone has changed a lot and very dramatically. And we have to admit that it went only to the benefit of iPhone X. It really was a new breath of air in the smartphone market. Managed to change many of the stereotypes in the minds of developers and users. Apple know how to conduct a successful marketing campaign, know how to show their product. In fairness, I have to tip my hat to the marketers of Apple, which, like no other, know their stuff. Users did not even notice as they suddenly convinced that before them the most modern smartphone in the world, with which none of the previously released devices cannot match. Most importantly, they managed to convince potential buyers that the price of the new iPhone X is not that exorbitant, that the modern mobile gadgets, especially their production, just as should be. And the flow of images of the new smartphone at first, was simply overwhelming. It seemed that we would open a local rag and there, too, will see the new iPhone X. I wrote About it, talked, argued. Everyone wanted to speak, to share their opinions. The advertising company was organized perfectly. Marketing the company urged users to make pre-orders of new items, spread rumors that all smart phones may not be enough. They say, hurry, run, order, be in the forefront. Just like in the textbook on marketing and advertising. And most importantly, they got it!!! Apple has announced that the new iPhone will be X by 3 November 2017 in retail stores around the world. It caused a huge stir, has created an unprecedented queues, scandals. Last time, we slowly began to wean itself from the queue and living in a tent in anticipation of a new iPhone. Everything happened quietly, calmly, without unnecessary tragedy and farce. Ordered, paid, took, everything. But on the eve of November 3, this year, everything changed. Fans and willing to make resales of the new iPhone X took place in mile-long queues, stockpiling food and water, took time off work, students skipped classes at universities. All this in order to be the first to receive the coveted smartphone and show the world that he is at the forefront of history with the revolutionary new smartphone. The whole world was gripped by an epidemic of iphonemania. Sometimes even reached the absurd situations the non-existent performances at Apple stores, which is also queued. Even came it is almost criminal to showdown and showdown. I mean, the hype was complete. Some potential buyers were very upset when they did not have the long-awaited smartphone. I am sure that we will not one such wave of hype around the sales of the new iPhone X. It is also a huge plus for Apple. Here they are able to work with the press like no other. Immediately in the first days, I’d say watch almost simultaneously in the press began to appear reviews of new smartphones. And most of them were really laudatory. Experts have got smartphones on the review with only one purpose — to create a favorable image of the new iPhone X. If you read the reviews, you will understand what I mean. Fans and admirers of “Apple” products, among which many famous experts universally praised and admired the new smartphone. It seemed that the flaws in it almost there, but as time has shown, it is not so. Even tried to arrange a verbal altercationturning to personal insults. All this stirred the interest in the new smartphone. Talking about him again, began to write and discuss. Now printed reviews, and photos of real phones, not shown in the presentation. Apple managed to create the right message, managed to create the areola of mystery, lust of the new device. All they know how to work with journalists. Competitors should learn from them so elegant and sophisticated campaign. But even laudatory reviews don’t always help. After the start of sales of brand new, still smelling of fresh paint factory, iPhone X fell into the hands of ordinary users. And then the fun began. It turned out that a new smartphone is not that perfect. Someone will say that we are all not without sin and there are problems at all. But in this case I will allow myself to remind you that iPhone X is very expensive. Buying an expensive thing is huge, you can say the money that the user wants to obtain really reliable thing. And what happened with the new iPhone X for the last 2 weeks, such is certainly not the name. Let’s try a little to understand all the problems Apple’s new smartphone, find out what managed is up to the developers. Apple has officially acknowledged that display their cutting-edge smartphone is susceptible to fading. Moreover, she also released a special statement on this occasion. But wait, Apple’s developers said that their display “the best in the industry”, and even promised that the effect of burnout among corporate Super Retina display supposedly has been minimized. So we just told stories? I understand the indignant cries of many fans of Apple that AMOLED screens tend to burn out, but the fact remains. This is a common problem for all displays with a matrix OLED, which are in the majority of modern TV sets and on mobile Pixel 2 XL from Google. She’s incorrigible. To reduce the likelihood of burnout, Apple recommends not to view photos on the new iPhone with maximum brightness. For example, I buy a new smartphone from Apple, and by the time I have some part of the screen is dry, look ugly. So what I, as a buyer, paid so much money? The question will remain unanswered. Further — more. It turned out that the display of the new smartphone stops working in the cold. The first reports about this appeared almost on the second day of the forum from users. The company for a long time did not react until the message has gained a lot of feedback. Only after that, the company acknowledged this problem when it referred to the fact that the operating temperature range of iPhone, iPod, iPad — from 0 to 35 degrees Celsius. In other words, live in warm country, not in the cold get your smartphone. To the credit of the company, later Apple still something there to fix it by releasing the update firmware. Now iPhone X, on their assurances, will work in the cold. But the sediment from the situation remained. What else in the cold will no longer work? But the surprises with the display has not ended. Soon there were reports that the new flagship smartphone Apple began to complain of strange thin green strip that is visible on the edge of the display. Pictures iPhone X with this band in abundance are published on the support forum Apple, as well as in Twitter, Facebook, Reddit and so on. The problem is not solved no reboot or reset to factory settings. Experts believethat this is likely the problem those of AMOLED screens what was observed previously, for example, on smartphones the Samsung Galaxy S7 edge. There she was pink. Resource TechCrunch suggested that the fault may be electrical failure. Apple still has not commented on the situation. It is not known whether Apple change defective smartphones, or close your eyes, what will cause uproar. Some iPhone users X are faced with the problem where in the speakers at high volume I hear crackling noises, hum or squeak. Distortion appear in any application that uses audio: audio players, video players, and alarm clock, with speakerphone, etc. according to user reports, the problem affects all versions iPhone X, regardless of the memory size and color options. A similar problem was in the iPhone 8, but update firmware to version 11.0.2 it eliminated. While that is correct this is not a problem. Most likely it is related to a software iPhone X. Apple’s refrain on commenting on this question. A company selling extended warranties on gadgets Square Trade tested the iPhone X for durability. The testers came to a disappointing conclusion, calling iPhone X “the most fragile of all iPhones ever made”. Tests have shown that a smartphone can easily break, dropping from a small height. Even falling out of your jeans pocket, iPhone X may be severely damaged. So, in the fall of mobile it the back panel was cracked. 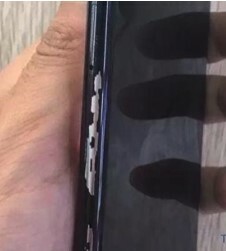 When the gadget is dropped on the front panel, cracks appeared on both sides of the device. Despite that the smartphone has continued to operate normally. The insurance company called the cost of repairing the iPhone X. the Screen will cost $279. Back glass — $549. Warranty from SquareTrade costs $99 for two years. It covers and screen repair. And this is quite a tidy sum. What is my advice? You buy the smartphone at your own risk. No one is immune from this, but the repair is very expensive. This bug appeared only in iOS 11.1. When you try to type the letter “I” spell check auomatically fix it with the letter “a”. You say that nothing wrong with that. I agree that the global and the problem in this bug is not very many. But annoyed users without a doubt. Some resources wrote a whole guide on how to fix it. Fortunately, the problem was quickly solved with the release of the updates for the operating system. On websites and forums began to appear reports that in iOS 11 of the official YouTube client from Google pretty quickly discharges the new iPhone X. This caused a lot of noise and conversations. However, some users have noticed that their iPhone X in this case much too hot. The decision took a lot of time and effort. But soon, Google still fixed the problem, releasing an update for its official client YouTube. Noticed it instantly, some on the forum Reddit. This is good news for owners of iPhone X. Let’s hope that this will not happen with another app from the App Store. At the conference on cyber security POC2017, held November 9-10 2017, in Seoul, had before it a working jailbreak for the iOS 11.1.1 on iPhone X. it is Worth Recalling that before the jailbreak was common for IOS. He was given the opportunity to gain full access to the file system iOS-devices. Jailbreak devices is possible thanks to a vulnerability in the security iOS. But in the latest versions of its mobile system, the Apple company ceased to encourage the breaks, fearing for the safety of the gadgets running on iOS. In simple words: the very existence of a working jailbreak says that the new iPhone X is vulnerable to hackers. Where is the guarantee that over time it will not be compromised. Apple pretend like nothing happened, but we understand developers will try to correct the situation. Will it, time will tell. Talking about correctness, efficiency and security Face ID was conducted from the first minute of the presentation. Especially because the reason was, as even during the presentation a new way to unlock screen iPhone X failed its developers. Apple failed the first time to show a Face ID. Everyone knew that the problems with this feature sooner or later, but it still appears. It just happened. Even one of the founders of Apple Steve Wozniak said that not much faith in iPhone X from scanner face ID that Apple introduced is unlock. Although the manufacturer assures the reliability of the technology, the researchers from company Bkav managed to crack it using a specially prepared mask. Writes Engadget, instead strive for absolute realism, the team focused on deception technology for the assessment of depth. For hacking Face ID used hand-made “skin” and created using 3D printing model of a real person. The eye was a two-dimensional image. According to Bkav, the creation of the mask took 5 days and cost was $150 (excluding the cost of a 3D printer). The demonstration shows that the mask worked the first try, but we do not know how many failed samples it took before. Apple, in response to a request for comment, sent journalists to the security Protocol, describing the work Face ID. Probably, despite the fact that the Face ID has been successfully hacked, ordinary users should not worry. In Bkav acknowledged that the effort was too great to waste time on a smartphone of the ordinary citizen. But still got hacked!!! In recent days, the Internet is gaining popularity video in which a ten year old boy lied to the face scanner and unlock the iPhone X your mother — the whole process was thoroughly recorded and posted on YouTube. Video shows mother and child with two angles. According to the woman, she repeatedly checked her face using the camera under different lighting, leading to different results — sometimes her son could access your iPhone X and sometimes not. It is also reported that once the boy was able to deceive the Face ID and phone his father. Perhaps this is related to the statement of Applethat the problems when unlocking using Face ID can occur in children under the age of 13, the twins, as well as those who have very similar brothers or sisters. And just a couple of days ago, my new iPhone X revealed another significant problem. So, in a comment on Reddit reported that the metal frame X iPhone badly scratched. Users have uploaded several images, which you can see worn corners, chipped frames, and scratched the area around the connector for charging. The owners claim that most of the scratches appear on the sides and bottom. However, the attached photo is not allow to unambiguously say whether the smartphone any other damage. It is also not clear under what circumstances obkololsya paint. Since complaints are not widespread, perhaps, the carelessness and carelessness of owners led to the damage. But still frustrating, because the new smartphone from Apple is worth a lot of money. Someone will say that this problem is easily solved by buying a cover. But I agree that if you are buying an expensive smartphone, you want to match your ultimate. Personally, I have the impression that iPhone X was done in a hurry, in haste. Apparently, Apple realized that I needed to be on time, otherwise you may have problems and not small. When I first saw the iPhone X , then immediately said it was completely different, not the same as before, the smartphone from Apple. Premium design, great display, powerful processor, one of the best in the market dual camera and improved iOS 11 — all this gives the right to say that we the best smartphone from Apple. Let these past few weeks and there was described the problems, but who do not have problems. Apple has always been able to respond quickly to the problem and immediately resolve it. Moreover, these problems are not so serious. The developers will release an update for iOS 11 and fix everything. After a while, no one will remember them. Do I need to buy a new iPhone X? I am sure that this will bother Apple fans. If you have now iPhone 6/6S, I’d thought about buying the iPhone X. Because your smartphone is already a bit outdated, and want the best. The iPhone 7 should be done at your own discretion. And all because the new iPhone X has some changes. Not everyone will like them and may cause at least puzzling, since it will have to be retrained. Remember that iPhone X is not the usual place of the Home button. Now to unlock the phone and other things used Face ID and not Touch ID. If you are not afraid of new user experience, then go for the new iPhone X. Next year iPhone will be with two SIM-cards and LTE Gigabit? You are reading an article on the If I buy an iPhone X?. 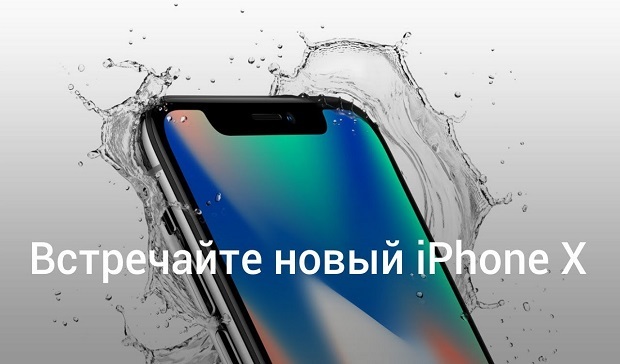 All materials on the site Gadgets F, а также и статья If I buy an iPhone X? - written for the purpose of information enrichment and we are happy if you like our magazine. Reviews to article If I buy an iPhone X?